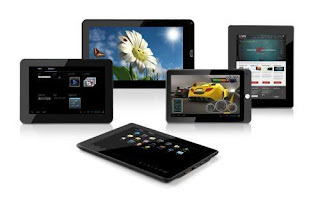 What Android tablets sell best? Turns out Samsung and Amazon know the key! We all know Android tablets are becoming more and more popular. They're popping up every where these days and for the most part, they're competitively priced and kitted out with very solid internals. The perfect example of this sort of device is the Nexus 7; it's affordable, very well kitted out and it is the new benchmark for 7" Android tablets. With that in mind, how well have Android tablets done lately and which devices top the pile? Well it seems like Samsung take the prize here with Amazon's tablets being very popular in their own right. There's a couple of Asus devices in there for good measure too! 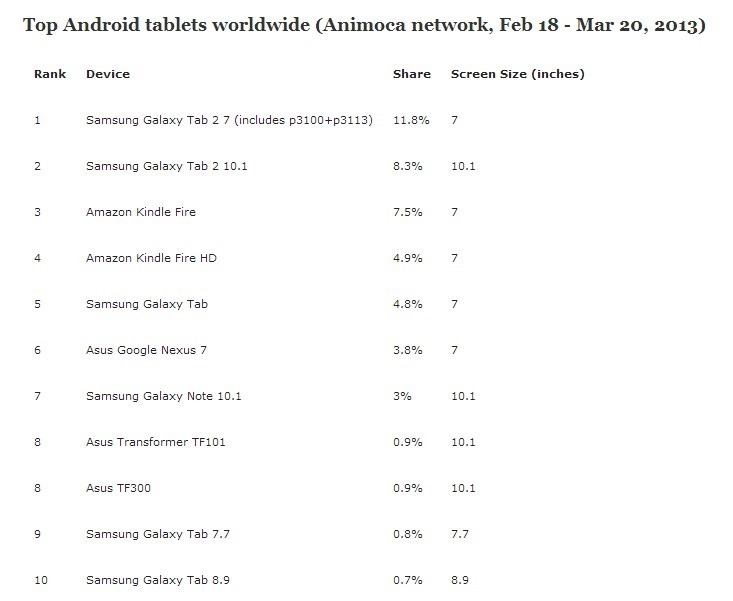 It's interesting that Samsung's 'budget' Android tablets are actually the most popular here, closely followed by Amazon's tablets which are supposedly sold at cost. Then of course there's Google and Asus' Nexus 7, a device which many would expect to be higher up the list. To be fair to the device it is only available in ten countries and of those ten countries only five of them have the pleasure of using the 3G variant, so it's actually done remarkably well to finish that high on the list! There's a similar situation with Amazon's Kindle Fire and Kindle Fire HD, both of which are available in at least fifteen countries so those devices have proved hugely popular too! Everyone knows why Samsung's tablets have sold well, they're well made and they're available in an almost infinite set of configurations for every market. It seems that Samsung has really built a strong brand around their 'Galaxy' name and it'll be interesting to see if everything looks the same this time next year or whether Sony, Asus, Acer or even Lenovo can muscle their way onto this board! Via AndroidPolice. Image Credit: 9to5Google.